Employing the services of a real estate agent cost money. This is because estate agents or the property guys collect a service fee called real estate commission for the service they render. This means that the cost of renting an apartment or buying a property is increased by the commission you pay the property guys or estate agent. Now, you may be tempted to bypass using an agent and go in search of the property you need all by yourself. You may be inclined to do this in order to save money. But does doing it yourself really save you money? The truth is . . . it doesn't. Actually, using an estate agent costs you less than searching for an apartment yourself. Here are the four reasons why it pays you to use an agent for property rental or purchase. Want to buy land or house in secure estate with genuine title document? 1. You delegate the job of finding the right property to the real estate agent and continue with your business. Thus, you find the property of your choice without disrupting your normal routine of work and income generation. 2. The average real estate agent Lagos Nigeria and the client he serves are not internet aware yet. Searching for properties online and at mls online listings is not popular yet. 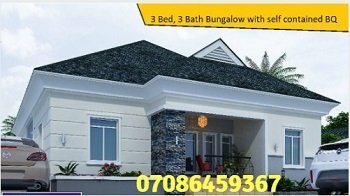 In addition, as at the time of writing this, there is no standard countrywide multiple listing service (MLS) that contains vital information you need to know about properties for rent or sale in Lagos Nigeria. Therefore you need the services of the property guys . . . the real estate agent . . . to sieve through the pile of houses and find something that suites you. This saves you the stress of jostling from apartment to apartment searching for what you need. With the help of the estate agent, you view only the properties that meet your defined criteria. 3. The experience of an agent comes handy in evaluating the potentials of a home. The property guys have seen it all. The good, the bad, the ugly. Their intuition and experience will save you loads of regrets after your rental or purchase. 4. Estate agents usually have a range of properties at their disposal. The properties also come at varying prices - some reasonable, some outrageous. A trustworthy estate agent will tell you when a property is overpriced. And he can easily offer you less expensive properties within the same neighborhood. This saves you money. Estate agents in Lagos Nigeria, and elsewhere in the world, offer a valuable service. They are professionals who make your property search a worthwhile experience. Do not let fear of the real estate commission you have to pay property guys deter you from getting the home of your dreams through their best of breed support. You hire profesionals to fix your car, right? You hire a lawyer or an attorney to represent you legally, right? Do the same when you need a home to call your own. Hire an esate agent and get the home that is just right for you. Contact Us to help you find the property you need. Our customer satisfaction philosophy will make your property search a pleasant one.